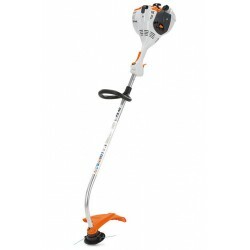 STIHL garden trimmers, brushcutters and clearing saws are able to quickly tame long grass and undergrowth with great ease. 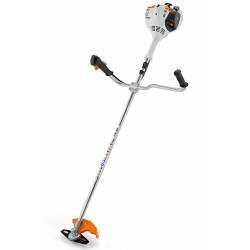 The various machines can be fitted with a selection of different tools and mowing lines to suit every job. From mowing small areas to thinning out overgrown thickets, no matter the task in hand we have the tool for you and your individual needs. Brushcutters & Strimmers There are 17 products. 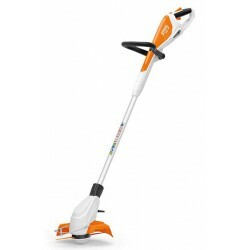 The lightest petrol grass trimmer in the STIHL range, ideal for domestic users trimming lawn edges. 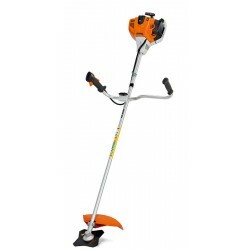 A powerful professional clearing saw which features a STIHL 2-Mix M-Tronic engine ideally suited for professional users cutting through large areas of grass and bush. 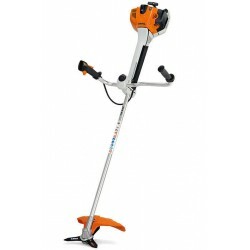 STIHL's most advanced 2-MIX Clearing saw with M-Tronic. Simple to start and perfectly balanced light brushcutter with ErgoStart (E). 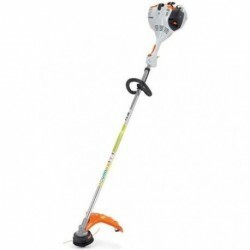 An entry level straight shaft brushcutter with loop handle from STIHL. 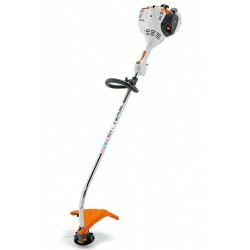 The FSA 45 is a compact cordless brushcutter ideal for straightforward trimming and clearing work in your garden without the hassle of being tied down with wires!